In this tutorial, you will learn how to combine RaidCall with AV Voice Changer Software Diamond 9.5 (VCSD9.5) for better and more unique communication. 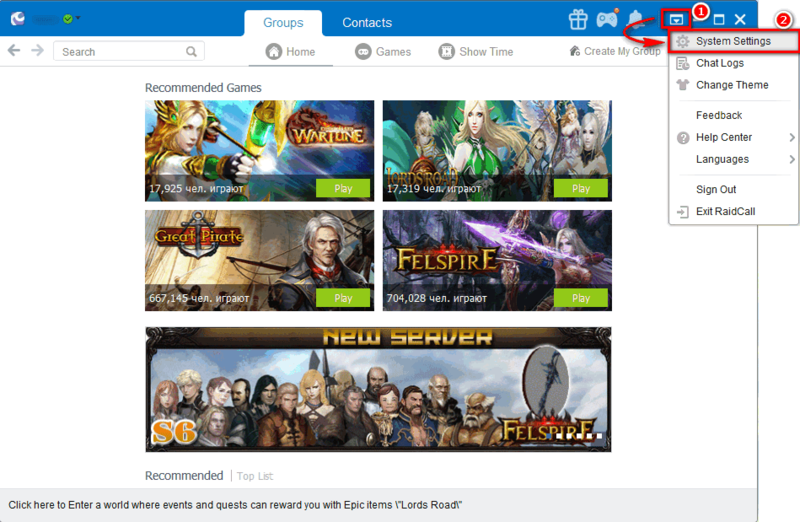 RaidCall is a free and powerful software for group communication, especially suitable for low-end computers. This program lets you communicate with many people in a single group call. Because of the high quality calls, group conversation and low usage of resources, many gamers tend to choose this software to talk to their friends. 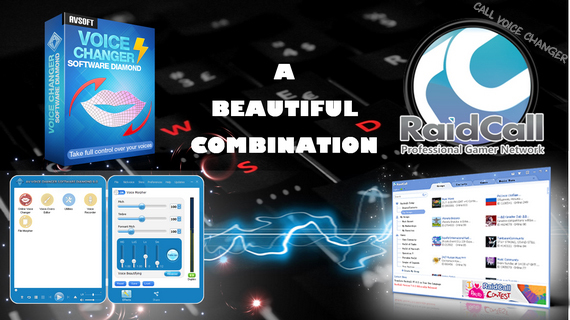 Call Voice Changer believes you will have the best calls ever with this beautiful combination. You can improve your calls, prank your friends with different voices or simply hide your real voice. Your calls will become much more lively, funny and absolutely make everyone feel light-hearted. - On main panel, choose Preferences menu (1) to open VCS Preferences window. - When VCS Preferences window appears, choose Virtual driver Mode radio button (2). - Click OK button (3) to apply new settings and close the Preferences window. - Choose Options button (1) on the top right corner and click on System Settings command (2) to open System Settings dialog box. 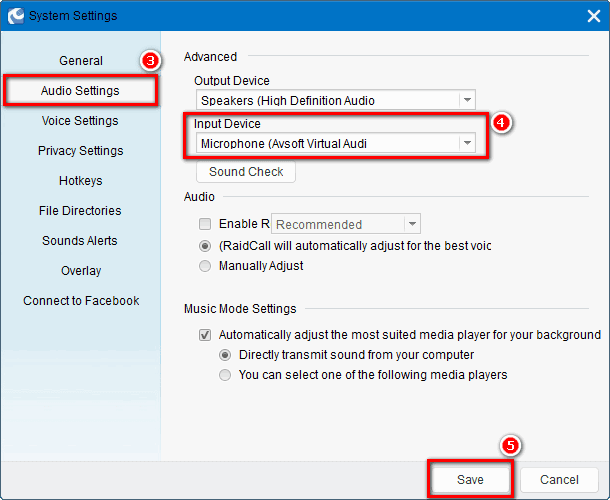 - Choose Audio tab (3) and change Input Device to Microphone (Avsoft Virtual Audio Device) (4). - Click Save button (5) to apply settings and close the Settings dialog box. - Go to VCSD9 main panel, adjust the settings until your are satisfied with the output. Timbre, Pitch and Formant Pitch are the most important settings. - You can choose ready-to-use Nickvoices for fast modification. - Finally, open RaidCall and enjoy your calls. Let's see how your friends react to your new voices. Note: While VCSD Virtual Audio Driver is being set as the audio driver for RaidCall, do NOT turn off VCSD9.5 when doing voice chat. 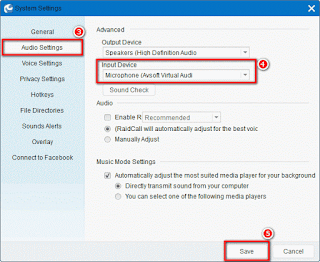 If you don’t want to use VCSD9.5, change the audio settings of RaidCall back to normal audio source.